Ms. Katharina Huber is lawyer and certified specialist lawyer for commercial and corporate law. She advises in Commercial and Corporate Law particularly with regard to the formation and restructuring of partnerships and corporations as well as in employee law. She drafts different General Business Terms and Conditions of Use (among other things in the field of e-commerce) and is concerned with questions of insolvency law. 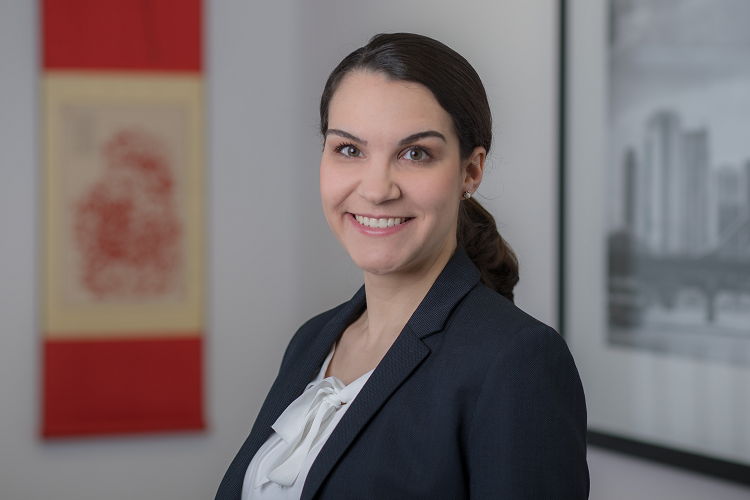 After her studies of law at the Friedrich-Alexander University Erlangen-Nürnberg, which she successfully concluded in 2009, Ms. Huber made her legal clerkship in Nurnberg and Munich. Since 2011 Ms. Huber is admitted as “Rechtsanwältin” (German lawyer). Ms. Huber worked for an economical operating law firm with seat in Frankfurt am Main for more than three and a half years. In particular she was in charge with the support of national and international insolvency proceedings. Moreover she advised national and foreign clients with regard to contract design, contract review and other economical and civil law matters. Since April 2015 Ms. Huber works for our firm. Ms. Huber speaks German and English.